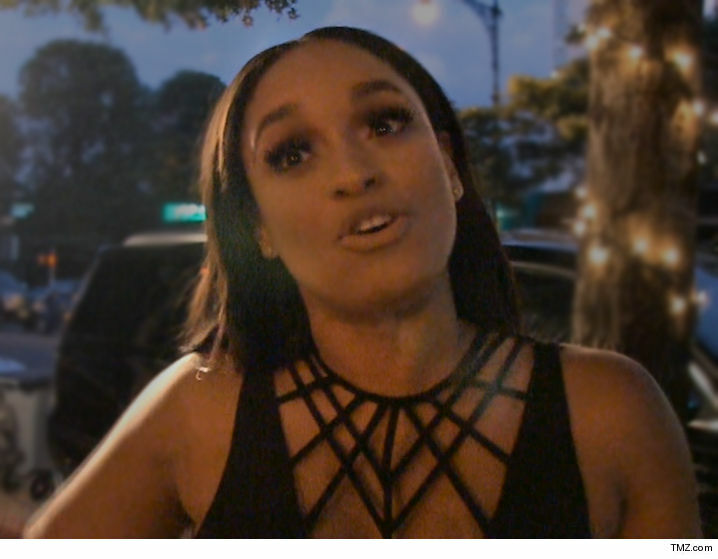 "Love & Hip Hop: New York" star Tahiry Jose got an awful birthday present -- handcuffs and a trip to jail after an alleged beatdown. The incident went down on Cinco de Mayo, Tahiry's 38th birthday, after she got into a physical altercation with a woman who was staying in her New Jersey home. According to arrest docs, Tahiry punched and scratched the woman in her face ... and yanked her hair, leaving "reddish bruises" on the right side of her face. Tahiry tells TMZ ... SHE was the victim, and was merely defending herself. She claims she got home and the woman -- whom she'd just recently allowed to stay with her -- jumped her and started breaking stuff. Tahiry was booked for assault and released the next day, but says she plans to press charges too. We'll say this, the ex-roomie probably stepped to the wrong chick. As 'LHHNY' fans know, Tahiry's always down to throw down.